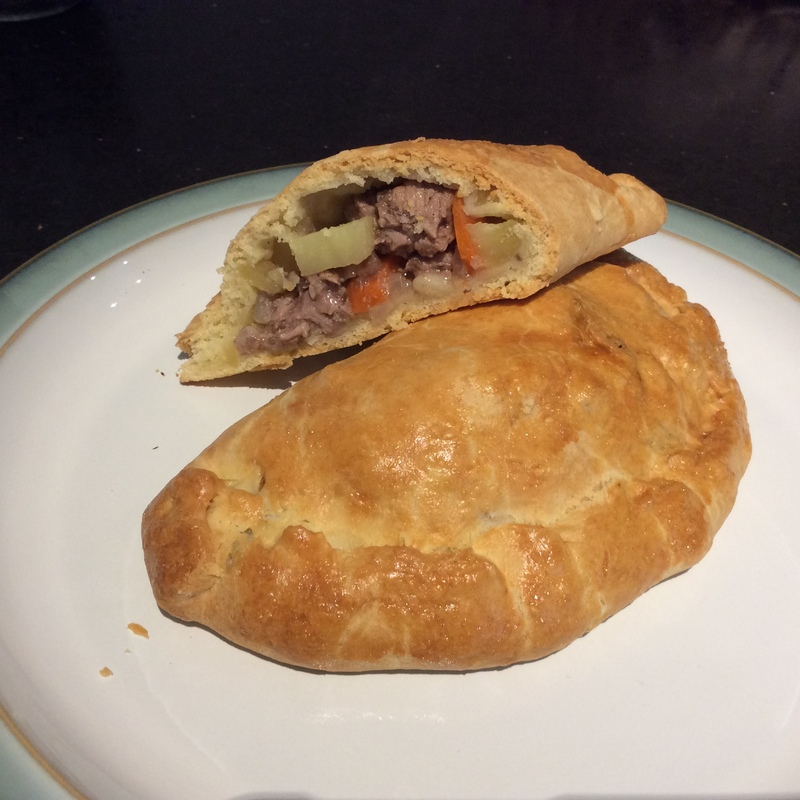 A meatier version of the classic Cornish Pasty with homemade pastry. 1. 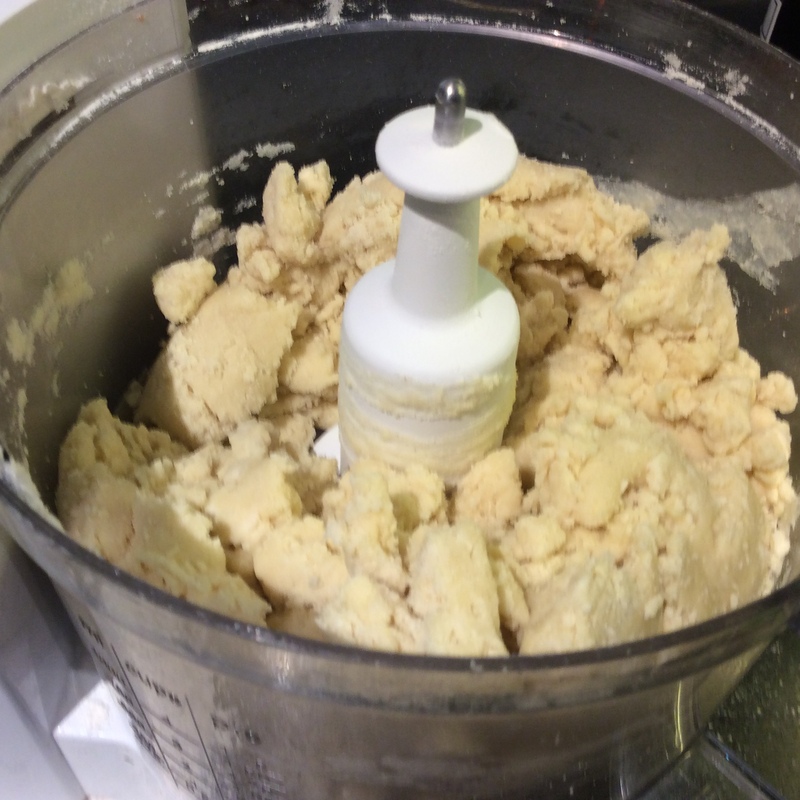 Cut the butter and lard into cubes, try not to handle it too much it needs to be as cold as possible. 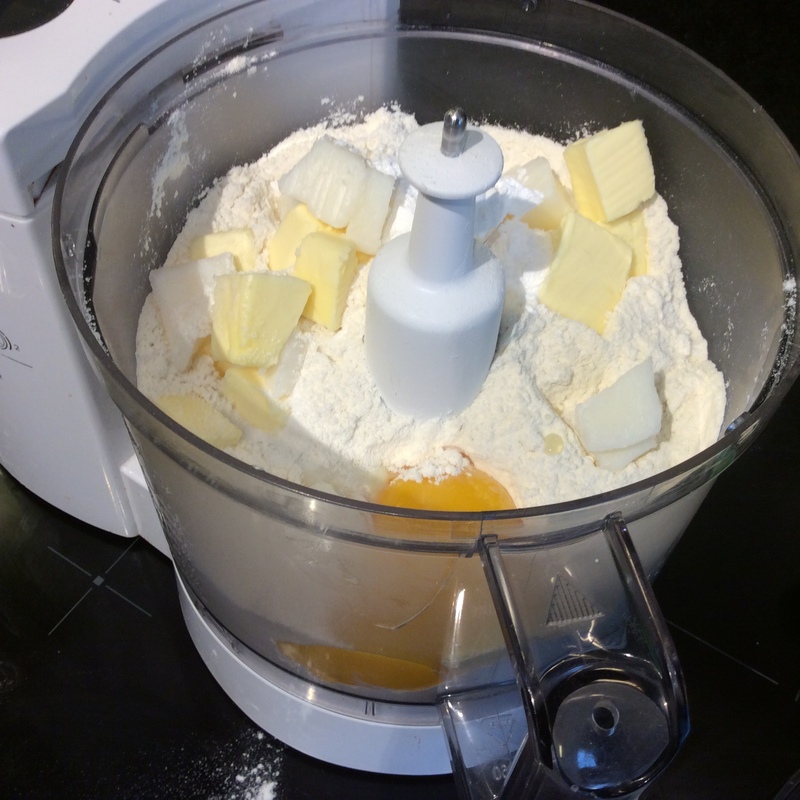 In a food processor add all of the pastry ingredients except for the water and blend till it is like breadcrumbs. 2. Slowly add the water to the processor whilst it is still mixing. It should form a ball, you may not need all of the water to get to this stage. 3. Split the pastry into 4 balls. 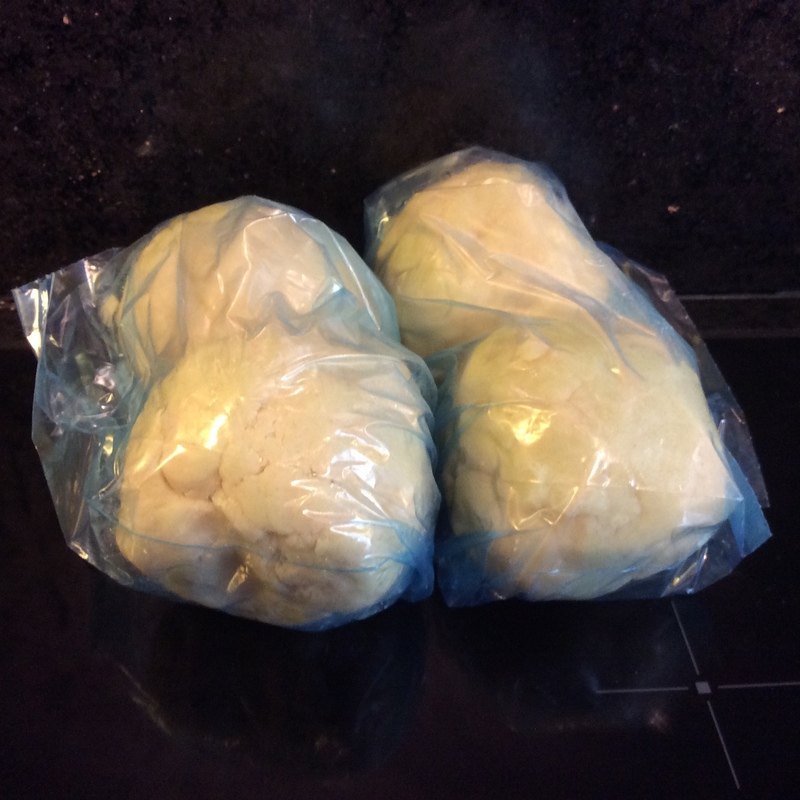 Wrap in cling film and then place in the fridge for 30 minutes. 4. 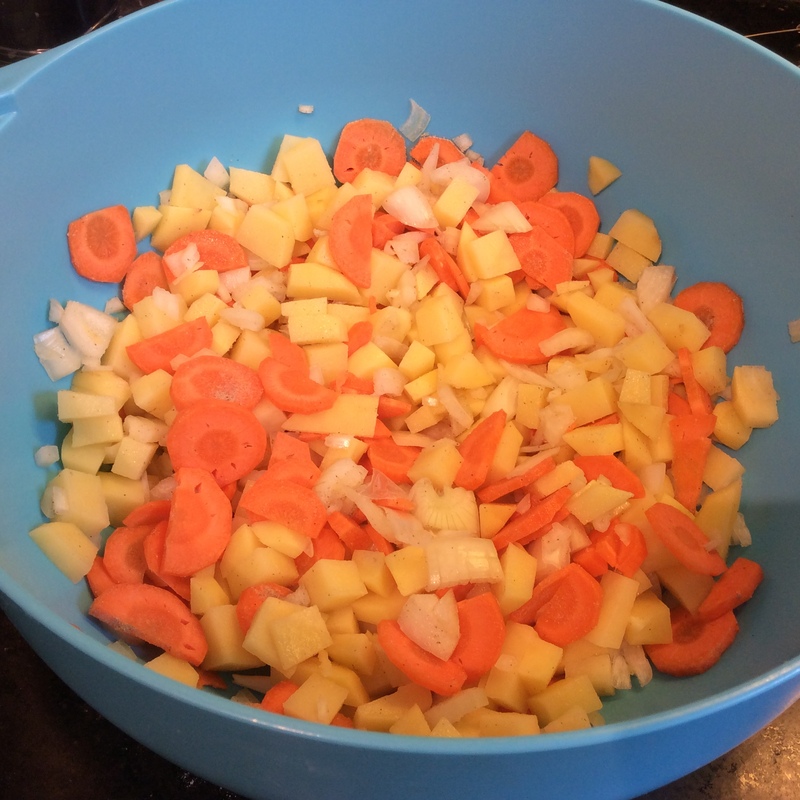 Chop the onions, and peel and thinly slice the potatoes and carrots. 5. 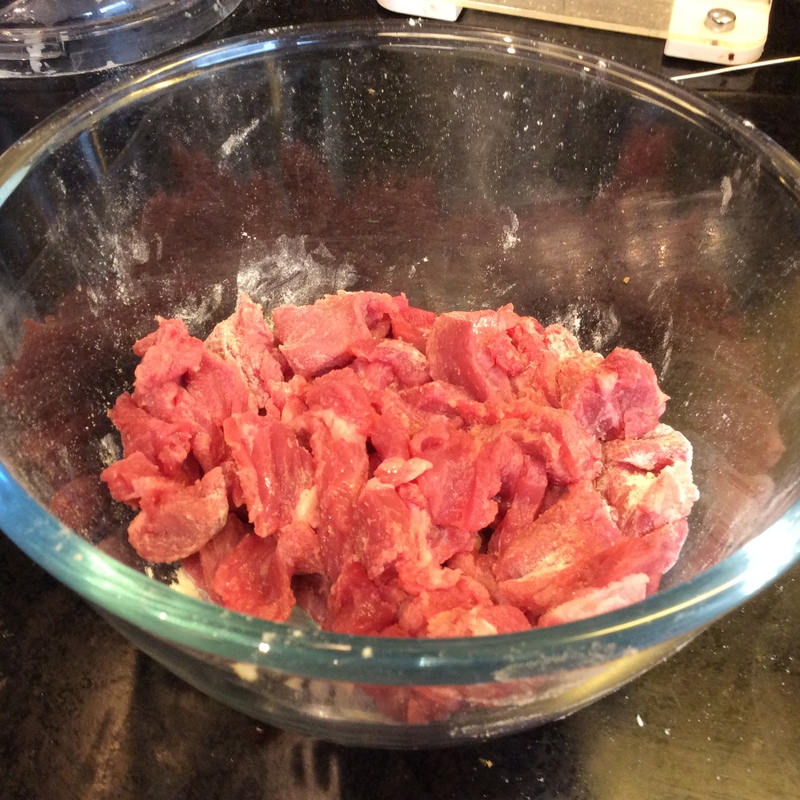 Slice the beef and coat with the flour. 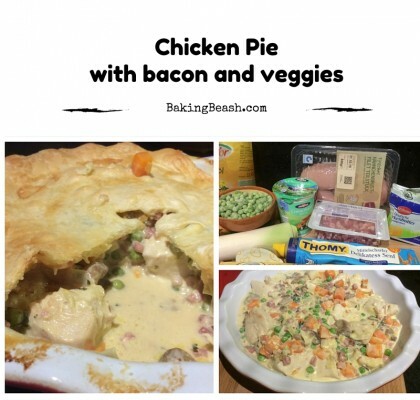 Mix in with the vegetables and season well. 6. Preheat the oven to Fan 180 degrees centigrade. 7. Dust a work surface with flour and roll the pastry out. 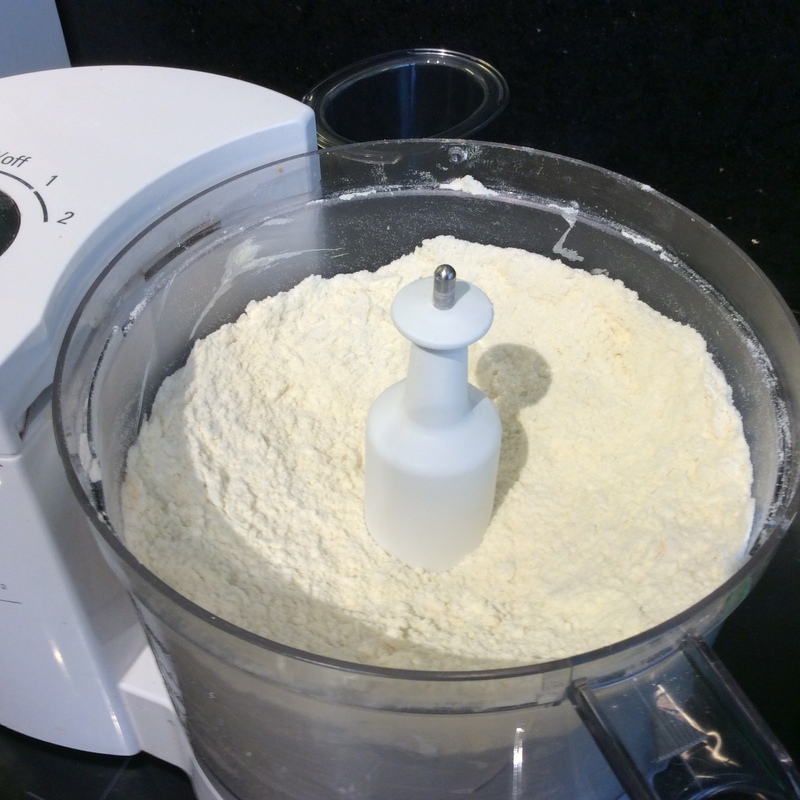 To prevent it sticking turn frequently and dust lightly with more flour if it is required. You are aiming for a circle roughly 3mm thick. Use a plate or cake tin to cut out circle shapes. 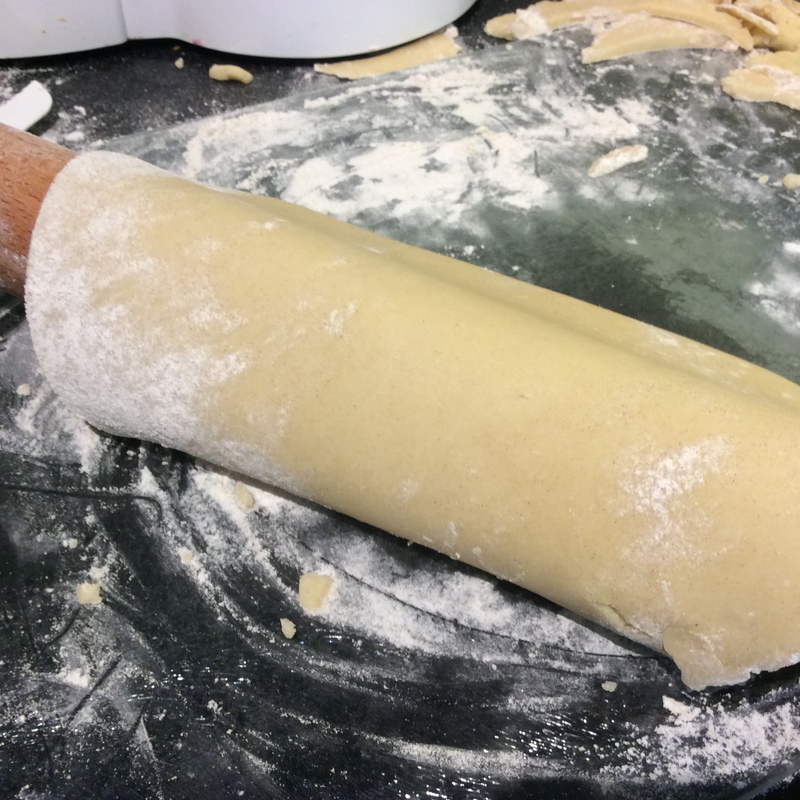 Use a rolling pin to lift and move it to a baking sheet lined with a silicon sheet or baking paper. Repeat until all four have been made. 8. 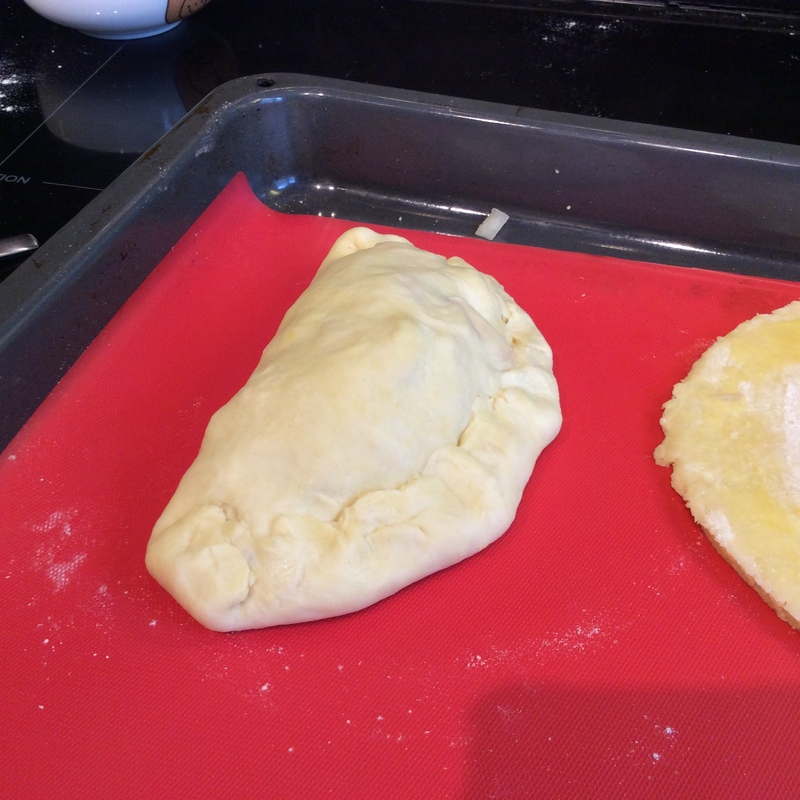 Place the filling on one side of the pasty leaving a space of about 1.5 cm away from the edge. Brush the edges with egg wash and then fold top over. 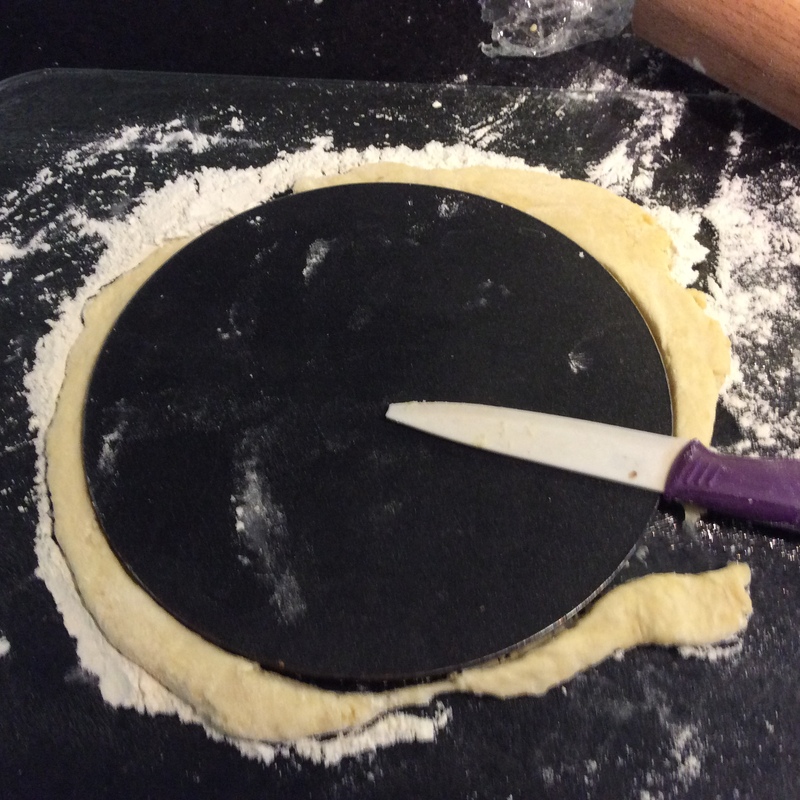 Fold the bottom of the pastry over the top press down with your fingers to make a seal. Repeat with all four. 10. Cook for 50 minutes in the oven till golden brown. 11. Can be eaten cold as part of a picnic lunch or warm with some extra gravy if you like it. 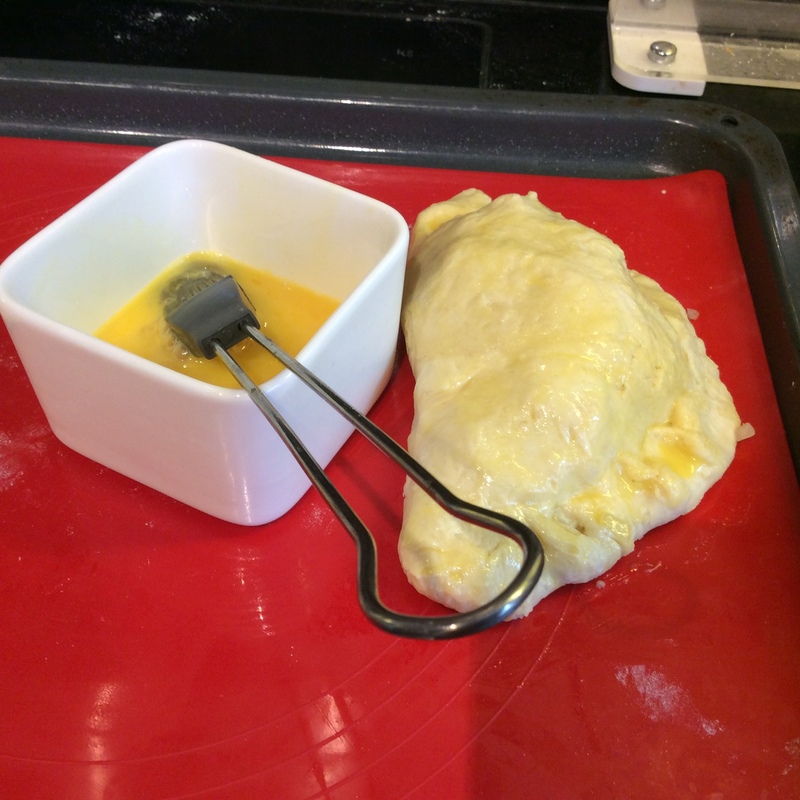 I have developed this Meaty Cornish Pasty recipe over several attempts. It combines an enriched pastry with a cooked rump steak beef filling which really delivers on flavour. 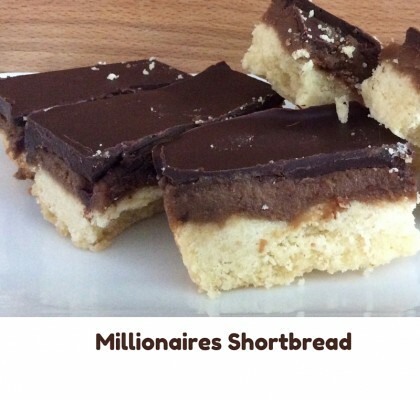 The pastry recipe is adapted from a Hairy Biker Recipe. They make an all butter version and say that it makes 6 pasties. 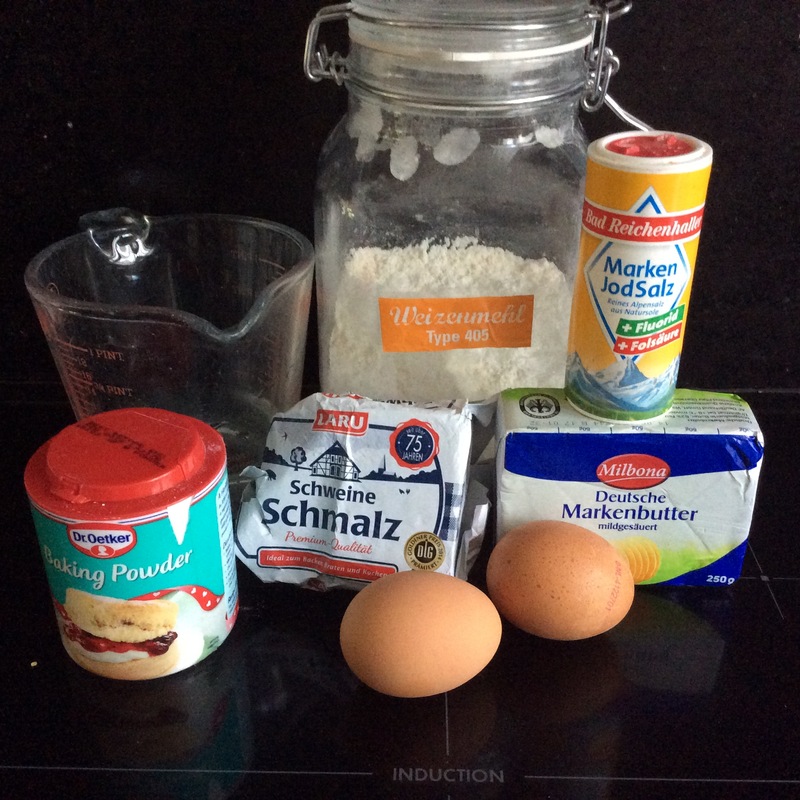 I have used a little bit of lard to make it closer to the traditional versions and think that it is safer to use the pastry to make 4 pasties. 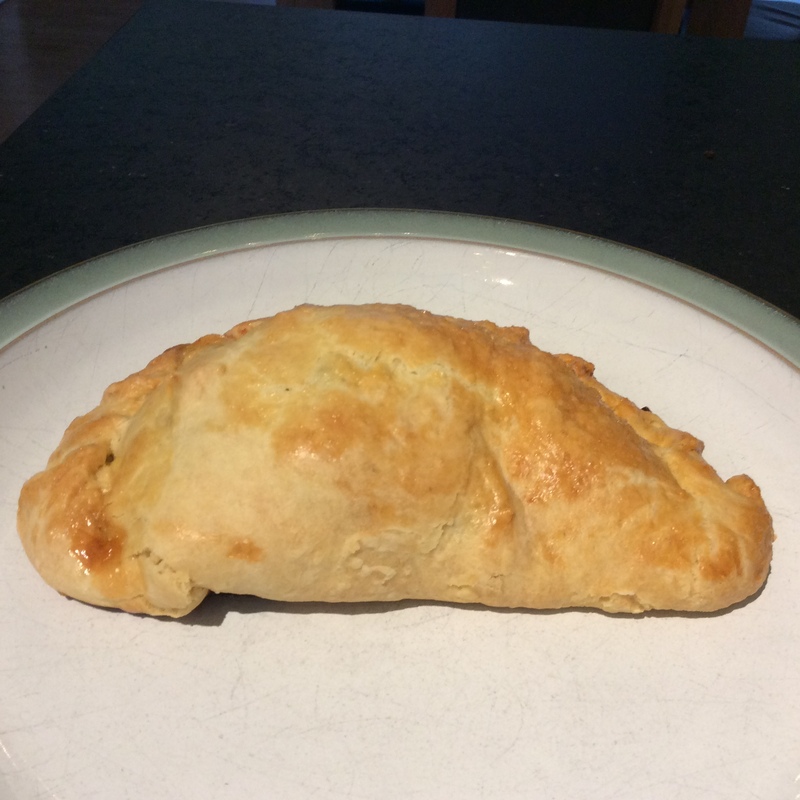 One of the key requirements of a pasty is that it can be held in your hand and this recipe should help you do to that. 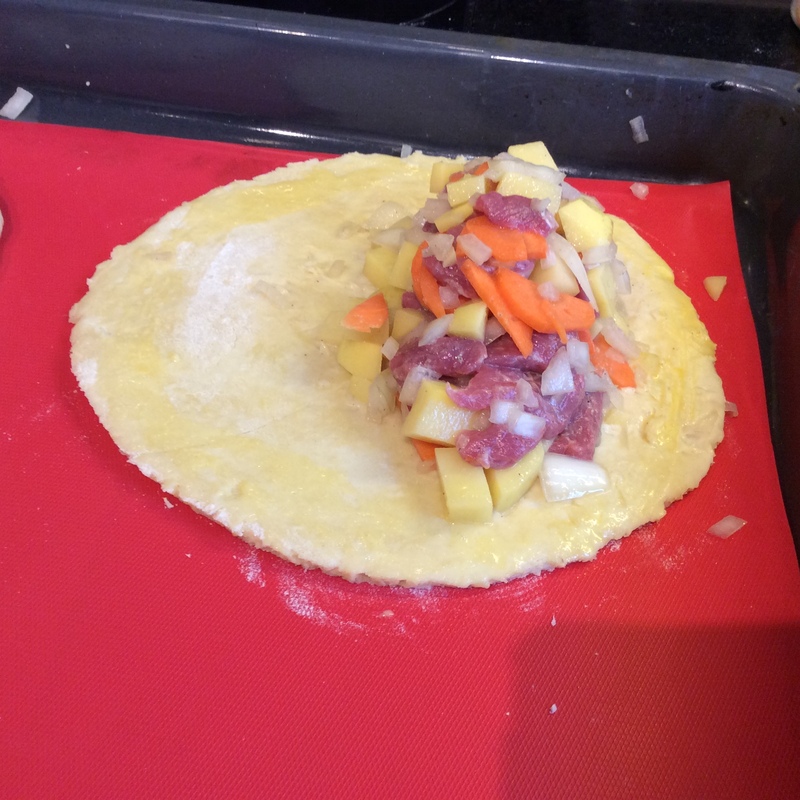 A traditional pasty filling uses sliced raw beef, onions, potatoes and swede/turnips and cooks them for 50 minutes. To make it a little bit special I use rump steak. Swede is really hard to get hold of off at this time of year so I have substituted carrots instead. 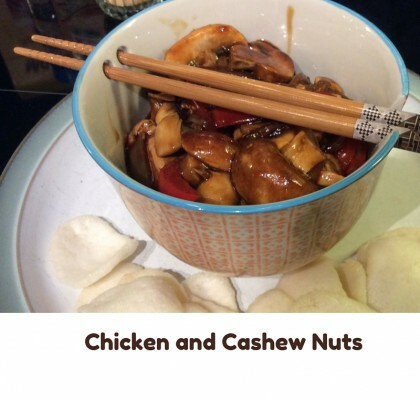 They are heavily seasoned with white pepper. Cornish Pasties were originally created for miners so that they could take them down the mine. They would eat them by holding the pastry edge and then throw the edge away as their hands where very dirty. Some of the wives would make a half sweet half savoury version. Cornish Pasties have been a traditional fast food in the UK for many years. With Ginsters being the most well known brand. Any commercial company must make their pasties in Cornwall to use the “Cornish Pasty” name. Recently a number of premium fast food establishments have opened up in the UK. I recently went to a food festival in Duesseldorf and there was a pasty stand there, so the fame of this excellent dish is spreading. There is now a World Championship for the Cornish Pasty. 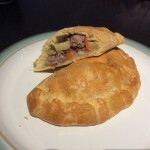 Follow the link if you would like to be inspired by some of the more innovative flavour combinations and to get a bit more history behind the great pasty. Hope you enjoy eating and making this version.